Fairytale Weddings and Matrimoni da Favola will design a tailor-made wedding invitation for you – we’ll help you choose what you want, then our staff will look after every single detail. 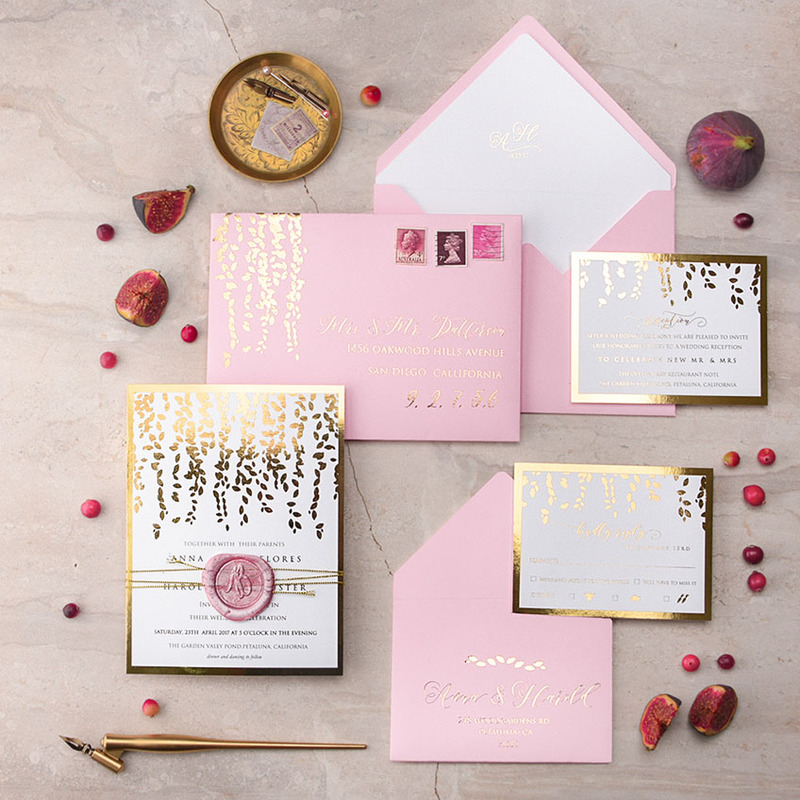 The style you choose for your wedding invitation will be a taster of the distinction and style the whole wedding will be imbued with, and the best preface to your fairytale wedding, a piece of elegance and refinement. Dear friend, elegance and simplicity are once again the key words for sending classy wedding announcements and invitations. The choice of paper has considerable importance – for example, the superb Amalfi paper is perfect for artistic handmade cards written by a calligrapher. But there are also plenty of other options: handmade paper, delicately scented paper or classic parchment in white or ivory. If formal, the characters of your wedding announcement and invitations will be in English cursive, with blue, gray and burgundy as the colors. 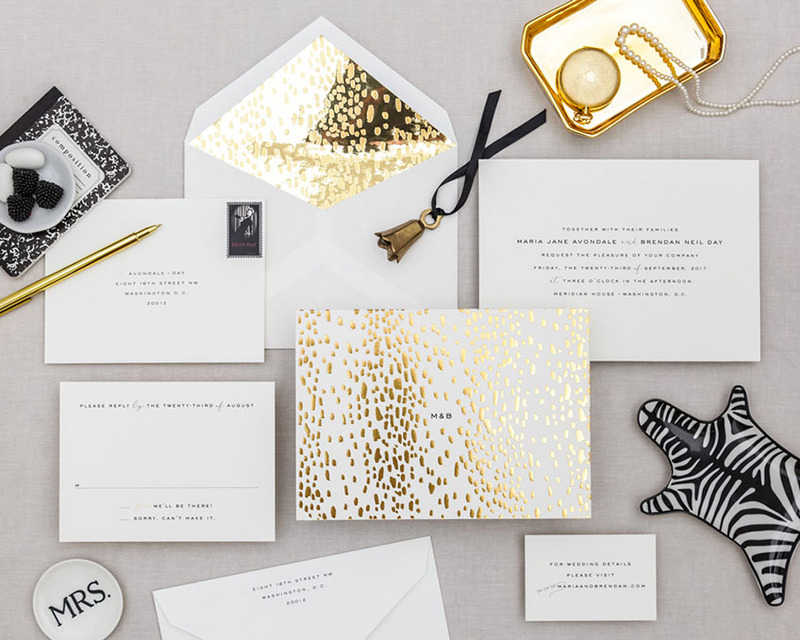 If you would like to add a touch of class, you may hot foil the initials of the couple in gold, silver, bronze or pearl – this makes for very elegant and formal wedding announcements and invitations. 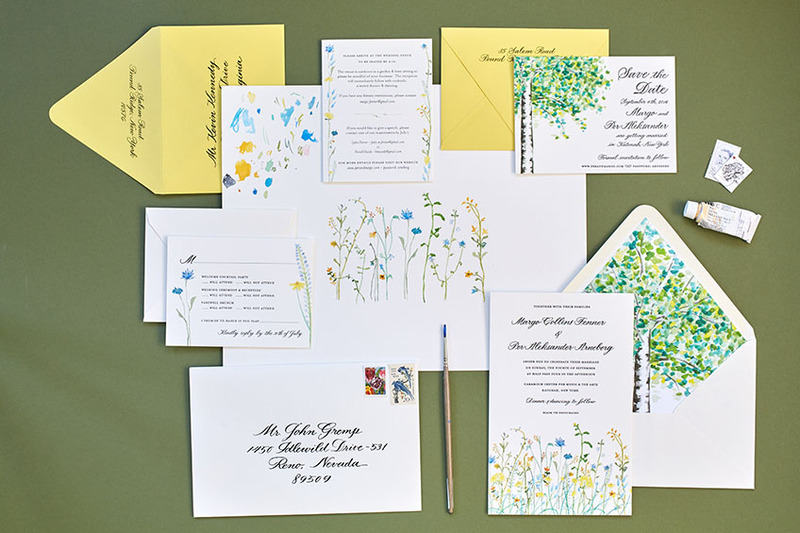 If you opt for a less formal or more modern style, you should exploit all the possibilities of digital printing, which provides unlimited opportunities in the choice of fonts and kinds of papers, as well as the possibility to customize your wedding announcements and invitations by inserting little drawings, images and edging – but always with elegance and refinement. Wedding announcements and invitations should be scheduled at least three to four months before the wedding date, in order to have enough time to perfect every detail. We also suggest you print a greater number of wedding announcements and invitations than you initially mean to send so that you’ll be able to handle any late additions to the guest list. 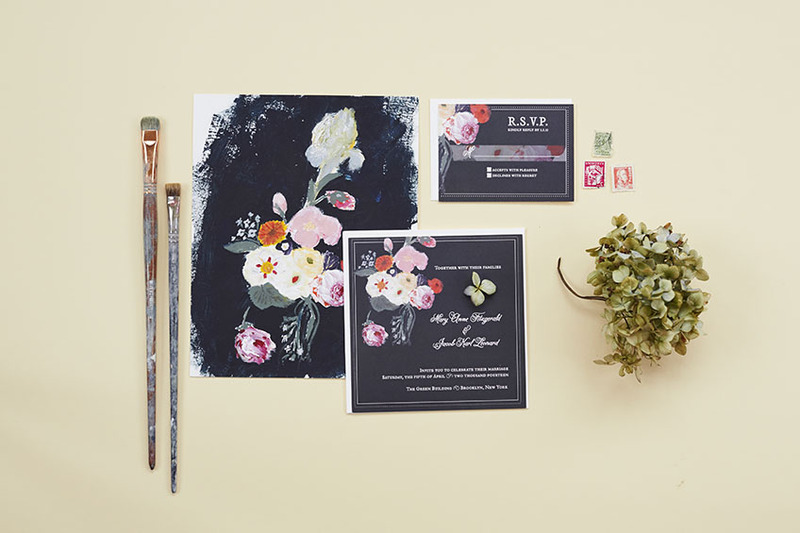 You can decide to add a drawing, a decoration or even one of your own photos to your wedding invitations. Let yourself be guided by your character and good taste in your choices, as well as by our advice. Some Ideas from the New Trends. Floral inspirations for a spring garden party. A new trend that has emerged and is growing fast – made even more famous after the American comedy-drama “Ricki and the Flash” (2015) – is the use of handmade paper decorated with seeds. During the spring, your wedding invitations may be “planted” and in a few weeks the seeds will sprout, giving life to small colored flowers. This trend is appreciated for its symbolism, the growth and blossoming of the new plant representing the flowering of your love. An announcement can be sent out either before or after the wedding and just contains the basic information about the marriage – the names of the spouses (usually the parents’ names as well), the date and the place. An invitation to the ceremony usually comes in an elaborate package; the invitations to the marriage ceremony and to the reception are usually made separately. The package can include an RSVP card with an envelope for the reply as well as information about the reception venue. When Should We Print and Send Wedding Announcements and Invitations? At the same time as printing the wedding announcement, we also print the invitations to attend the reception that will follow the ceremony, as well as the cards bearing the names of the bride and groom which will be attached to the wedding favors. A tip from Fairytale Weddings and Matrimoni da Favola: print a personalized thank-you note to send once you’ve come back from the honeymoon, to all the guests who attended the wedding and all those who honored you with a gift. As a good standard, wedding invitations should be sent by post or delivered by hand, at least two months before your fairytale wedding.